Our current selection of craft keg beers. To Øl CPH | ABV 3.7% | £7.20. Light, fresh and smooth – a real all-dayer. To Øl CPH | ABV 4.8% | £7.20. Hazy orange wheat beer with a light, malty aroma overlaid with citrusy hop notes. Light and sweet flavours of apricot and citrus with a medium bitter finish. To Øl CPH | ABV 4.9% | £7.20. To Øl CPH | ABV 6.5% | £7.80. New England IPA with all the haze and hops of your dreams. Vibrant Forest | ABV 7.1% | £6.00. Double-Barrelled & Elusive | ABV 4.4% | £6.00. To Øl CPH | ABV 10.8% | £9.00. To Øl CPH | ABV 9.6% | £15.00. 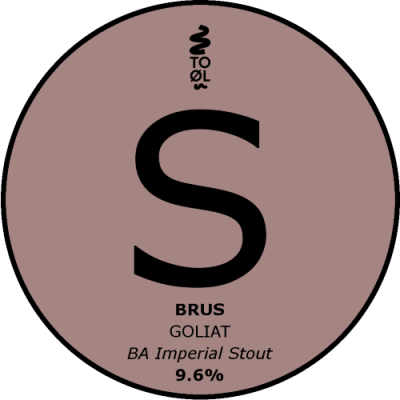 BA Imperial Stout: Aromas of coffee, liquorice, roasted malts, caramel, bourbon, and vanilla. Full bodied with flavours of coffee and roasted malts first, followed with enough bitterness to balance the initial sweetness. Delicious imperial stout, like the original, just great from start to finish.